Meow, there. Sneaky here with some Feature Friday Films. I know you all like to see cute kitty videos, but this week I’m showing my author’s booktrailers for our Cobble Cove cozy mystery series and her standalone mystery, Reason to Die. It’s a little out of date because Love on the Rocks is already published and has even been awarded a Certificate of Excellence from the Cat Writer’s Association. Debbie also has another standalone mystery, Sea Scope, that’s on pre-sale and will be out in May. Also, for those who missed her television interview, I’ve included the two-part video of it where she talks about her books, cats, and lots of other pawsome stuff. Sneaky here with another pawsome interview of a pet character. 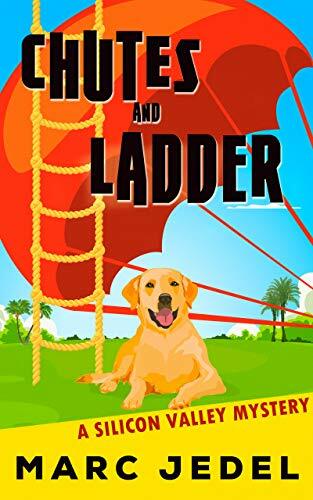 Today, it’s my pleasure to chat with a cozy mystery dog whose current book, Chutes and Ladder is on tour with Escape with Dollycas Into a Good Book. Hello, Pup.What is your name and your author’s name? Hi, Sneaky! I’m Buddy. I like your name. I’m a Labrador. I’m almost 6 months old! 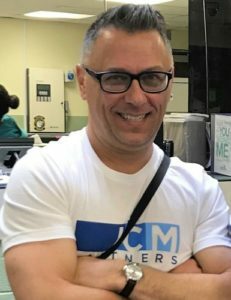 Marc Jedel is my author. That’s what they tell me. What’s an author? Do you have any food? Want to play? I like balls. Hey, Buddy. Great to meet ya. Authors are very cool people. I’m sure Marc is as good a writer as my Debbie. I’m quite proud of her. She gives me the best parts in her books. As for food, I don’t know if you’d like any virtual cat kibble. I like balls, too, but I roll them. I don’t fetch them, although some kitties. do. Marty Golden is my buddy and he brought me to my family in UNCLE AND ANTS. I come back in CHUTES AND LADDER. I heard they’re Cozy Mysteries. Is that because I get to be so cozy with my girls, Skye and Megan? Marty doesn’t like to get cozy with me. Because I like to hang around with Marty, I get to be in more books — right after my nap. Want my paw-tograph? Your books sounds pawsome, Bud. 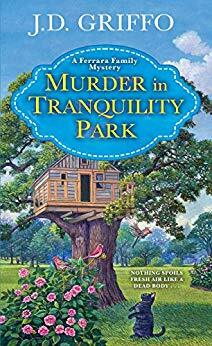 Cozy mysteries are fun. I love being a cozy mystery cat because cats enjoy being cozy, but they’re also full of mystery. Regarding your paw-tograph, I would be honored. I gave a paw-tograph out to Alicia and John’s fans in my third book, Written in Stone. When do we get to play? I know I saw a ball somewhere! I saw your blanket. Can I chew on it? Oh. Your question. Yes! I’m in a series! My books are both part of the Silicon Valley Mystery series. I think the series is about me, but Marty seems to be in every scene. This fashion-backward uncle isn’t exactly hero material. As a reluctant amateur sleuth, he bumbles his way through the investigations, armed with nothing but an eye for detail and powers of self-delusion. Worst of all, Uncle Marty doesn’t seem to like dogs. Well, he’s starting to appreciate me, at least. But he doesn’t play with me either. Only his nieces like to play with me. I can relate to that, Buddy. My human characters take away my limelight, but I manage to get some good scenes in especially when I help solve murders. I’d love to play with you, but business first. 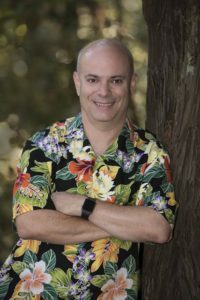 I know your author is on blog tour and would like this interview posted, so let’s finish up and then we can play some games. Yeah, my author knows Bailey, but I’m not allowed to meet her. The grownups say she’d give me bad ideas. I think she’d be awesome to play with. I want to learn more of Bailey’s fun tricks for my next book. My author has a small dog who prefers to sleep on the couch and go for walks rather than wreaking havoc on the household. That dog may be cute, but he sounds boring, like an old dog. Pet characters can learn a lot from their real-life counterparts, although it’s nice to be your own dog if you know what I mean. I’m not exactly like Oliver the Siamese who has now passed to Rainbow Bridge already a year. I have my own traits, and I’m proud of them. Here’s part of a scene that I can share without giving away any spoilers. Laney is Marty’s sister and Skye is her daughter and one of my favorite humans. “Let’s go. Right now,” Laney yelled as she jumped into her car. We raced back to encounter a fire truck, ambulance, and police car parked outside her house with their lights flashing. Laney’s neighbor hovered on the porch near the front door. Inside, Skye sat on the couch, wrapped in a towel and looking mortified as firefighters tramped through the house checking for any danger. Despite her foot in the cast, Laney practically flew to Skye’s side and hugged her. Between Skye and the firefighters, the story came out. Skye had put Buddy in his crate before taking an extra-long shower, but she’d only closed the latch, forgetting to use the combination lock. Buddy should have been named Houdini. He’d escaped and somehow turned on the gas stovetop again. The new alarm did its job, calling the fire department. Skye had wrapped a towel around herself and run out of the house. The firefighters must have expected Buddy to cause trouble again and been cruising in the neighborhood because they showed up within a few minutes. “This time wasn’t as bad as the last one. Still could have had an explosion,” said the same fire crew chief as last time. He must have kept close tabs on their frequent customers. Then, she noticed the cop standing next to her and began making little strangling noises. I hugged the girls and got out of there before Laney started blaming me for Buddy again. There was always tomorrow for that. Bow Wow! That’s a great scene. Thanks for sharing it. I don’t have to anything special. I’m only a puppy remember? And in these books, I can be a puppy — no pressure, no chores. I get to play, eat, play, sleep, play, and mess up the house (also called play) and Marty’s nieces still love me. Sometimes I’m pretty awesome too, but you’ll need to read the book to learn more. I’d tell you what happens because I don’t really have much self-control, but the author just bribed me with a treat to keep quiet. We cats are much more discreet. I never share any spoilers for the Cobble Cove mysteries, but I would like some treats for staying quiet. Do you talk in your books or just a silent one like I am who just meows occasionally? I bark and I knock things over in the house. Talking is for the humans. I agree. Pets are superior when it comes to body language. Be a puppy, we’re cute. If you’re already super old, like one, then just be yourself — be a dog. My first owner told me about an old saying “it’s a dog’s life” that means a miserable unhappy existence. That’s crazy! I’ll bet whoever said that hated dogs because it’s so wrong, it’s laughable. Other dog characters should relax, enjoy themselves, and let the author worry about all that story stuff. Eat, play, sleep, repeat! Sometimes, you’ll be a hero, sometimes, you just settle for being cute. Excellent advice. I must add that there’s a character dog in our book. His name is Fido, and he is getting on in years. He’s an old golden retriever. He helps me solve crimes sometimes. He was especially helpful in our first book, A Stone’s Throw. Please give some details about your new book. CHUTES AND LADDER just released on March 12. It’s the 2nd book in the Silicon Valley Mystery series. You can read it standalone or start with UNCLE AND ANTS, which is $0.99 in the Kindle store. Both books are free for Kindle Unlimited Readers. Book 3, SERF AND TURF, is underway and I’ll be in that book too! I’ve already been practicing some new tricks for that one. High Paws to you on those wonderful books. Thanks so much for dropping by, Buddy, and I’m ready to play with you now. But first I want to share your author’s blog tour and wish you both the best on your new release and upcoming title in your series.